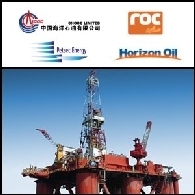 CNOOC Limited is a producer of offshore crude oil and natural gas and an independent oil and gas exploration and production company. 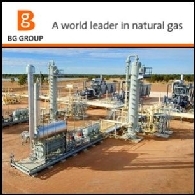 It mainly engages in oil and natural gas exploration, development, production and sales. 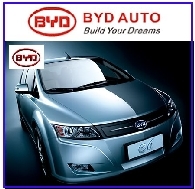 The Company has four major oil production areas offshore China: Bohai Bay, western South China Sea, eastern South China Sea and East China Sea. 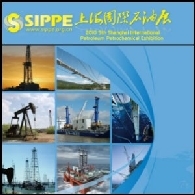 It is an offshore oil producer in Indonesia. 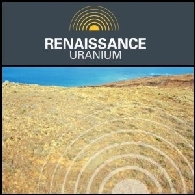 The Company also has certain upstream assets in regions, such as Africa and Australia. 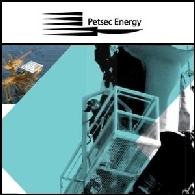 As of December 31, 2007, the Company owned net proved reserves of approximately 2.6 billion barrels-of-oil (BOE) equivalent and its average daily net production was 469,407 barrels-of-oil equivalent. 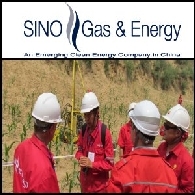 Sino Gas And Energy Holdings Limited (ASX:SEH) has signed a Modification Agreement to extend the exploration period on the Linxing Production Sharing Contract (PSC) for a further two years through to August 2013. 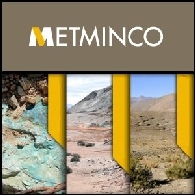 Asian Activities Report for August 22, 2011 includes: Metminco Limited (ASX:MNC) said today that drilling at its 100% owned Los Calatos copper/molybdenum project in Peru has indicated the existence of significant mineralization close to surface; Exoma Energy Limited (ASX:EXE) announced that Katherine-1 well, the fifth well of its 2011 exploration campaign in Queensland, has spudded; Aura Energy Limited (ASX:AEE) announced a significantly upgraded resource for its Häggån Project in Sweden; Alchemy Resources Limited (ASX:ALY) has identified new gold mineralisation at the Hermes Gold Deposit, part of its Gascoyne Gold Project in Western Australia. Australian Market Report of February 15, 2011 includes: Petsec Energy Limited (ASX:PSA) announced final investment approval for oil field project in China; Hazelwood Resources Limited (ASX:HAZ) said that the largest ferrotungsten plant outside of China is nearing completion; TNG Limited (ASX:TNG) will evaluate the potential for producing ferro-vanadium at its Mount Peake Iron-Vanadium Project in the Northern Territory; Catalpa Resources Limited (ASX:CAH) extended high grade gold zones in Western Australia. 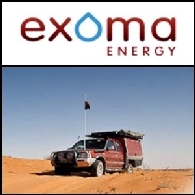 Australian Market Report of February 1, 2011 includes: Exoma Energy (ASX:EXE) signed farm-in agreement with CNOOC (HKG:0883); Moly Mines Limited (ASX:MOL) (TSE:MOL) has received loan commitment from China Development Bank for up to US$250 million; Asciano Group (ASX:AIO) secures another 3.5 million tonnes contract with Anglo American; Kidman Resources Limited (ASX:KDR) reported encouraging near-surface copper results in New South Wales. 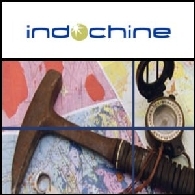 Australian Market Report of December 9, 2010 includes: Indochine Mining Limited (ASX:IDC) began trading on Australian Stock Exchange today; CNOOC is to invest A$50m in Exoma Energy Limited&apos;s (ASX:EXE) Queensland Coal Seam Gas and Shale Gas Projects; Cockatoo Coal Limited (ASX:COK) today updated the current JORC Resources for Bowen projects; Quest Petroleum NL (ASX:QPN) has began drilling on the Marian Baker #1 well. Wall Street&apos;s rallies overnight provided a positive lead to Asian markets on Wednesday. Dow and S&P 500 Tuesday surged to 18-month highs led by blue-chip industrial stocks. Nasdaq was also buoyed by signs of improved semiconductor market. Asian markets closed mixed on Tuesday. Energy shares in the region rose after the price of crude oil rebounded above US$81 a barrel on the New York Mercantile Exchange. Japan&apos;s Nikkei 225 fell nearly 0.5 per cent due to stronger yen against euro. China&apos;s Shanghai Composite lost 0.7 per cent. But South Korea&apos;s Kospi gained 0.6 per cent. Hong Kong&apos;s Hang Seng Index advanced 0.3 per cent. Asian shares received mixed lead from Wall Street. Friday the US market closed flat after better-than-expected US retail sales and slightly lower consumer sentiment data. Meanwhile, financial shares erased some of their gains after rallies last week. Asian markets also closed mixed Friday. Japan&apos;s Nikkei was 0.8 per cent higher, led by Japanese exporters. But Shanghai and Hong Kong markets dropped as banks and mainland based real estate shares were hit by concerns over policy tightening amid rising inflation. Shanghai Composite fell to nearly a three week low.